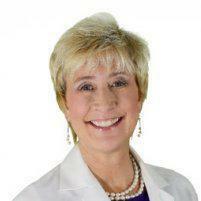 Testimonials & Reviews - Savannah, GA: Pamela G. Gaudry, M.D. Dr. Pamela G. Gaudry always appreciates feedback from her valued patients. To date, we’re thrilled to have collected 28 reviews with an average rating of 4.93 out of 5 stars. Please read what others are saying about Dr. Pamela Gaudry below, and as always, we would love to collect your feedback. I chose to continue with Dr. Gaudry when she started her own practice because of the amazing, personal, caring, professional care she gives. I can easily talk to her about anything. She understands what I am going through at this phase in my life and is able to give me helpful suggestions and the best healthcare of any doctor I have ever been to!! Dr. Pam is so easy to talk to. I felt like I was having a conversation with a good friend. I have been a patient of Dr. Gaudry's for over ten years. She is without a doubt the most professional, thorough, and understanding physician I have ever had. Her knowledge of women's health through all the seasons of our lives makes all these stages so much easier to understand and enjoy. She truly cares for her patients and makes sure she stays on top of the latest information to share with us. She makes you very comfortable during exams (including sharing personal stories), and is always available for consultations. I drive over an hour from another city to see her, and it is so worth it! Great doctor, great staff! Caring and knowledgeable. Dr. Gaudy is knowledgeable, caring, and kind. I recently went in for a routine mammogram which had to be followed up with a biopsy. Dr. Gaudry and her staff treated me with such care through the entire medical procedures helping me with the paperwork I needed to quickly move through the process and was there for follow-up. Dr. Gaudry personally called me with the results after hours to ease any concerns I had. I was grateful for her care and professional manner! Dr. Gaudry has always been caring, compassionate, professional, efficient and right in her diagnosis. She takes the time to listen and really find out what is wrong and makes sure she helps to make you well not just treat symptoms. She is rare in that she is a doctor who really cares about you personally. She is one of the most wonderful human beings and doctors that has ever walked this earth. Dr. Pam is a very caring and sincere provider. She wants to know how you are doing and doesn't rush you. She is very thorough and personally called me about my results. Very caring Dr. Appreciated her expertise in menopause and she helped me with symptoms. Dr. Pam is one of the most thorough doctors that I have had the pleasure of having as my doctor. Pam is also very genuine in her concern about her patients. I would highly recommend her services, especially for women seeking a physician who is genuinely concerned about one's health and welfare. I look forward to my annual visit with Dr. Gaudry!!! I enjoy the amount of time that Dr. Pam is able to spend with the patient, and she is not always looking at the computer. Dr. Gaudry is the best GYN in Savannah! I can’t say enough about how caring and knowledgeable she is every time I need her! Dr. Pam is the most caring and concerned physician I know. I am grateful to have her as my primary care doctor. Thank you for all you do! Everyone in this office is great.Dr. Pam makes you feel so comfortable. Sorry Pam but Tucker is my favorite. I was there for my annual exam. Pam is an excellent physician, very caring and thoughtful. She spends the time you need to talk, listen to concerns you may have and advise if needed. I have been with her for over 20 years and have always enjoyed my visits with her. Love her as a physician and friend.